Sgt. Troy (Daniel Casey) sadly leaves the Midsomer team in this episode, though not before having to cope with some more dramatic events. Troy wins a promotion to inspector but before he can decide on his future, the Midsomer canal tunnel collapses during a restoration project, revealing ancient human bones with a recent skeleton hidden among them. 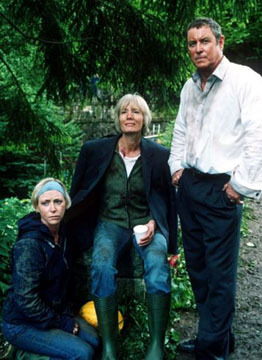 As Barnaby investigates, Troy is sent to the woods near Midsomer Worthy where Tom (David Bradley), a wild man, has been attacked by a group of youths. Then one of the teenagers is caught in a mantrap and shot dead. Is Tom responsible?